The care and dedication that goes into our string of over 60 horses is a credit to Barney and her team. 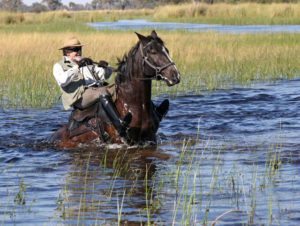 The horses of Okavango Horse Safaris are chosen with temperament and suitability at the forefront. 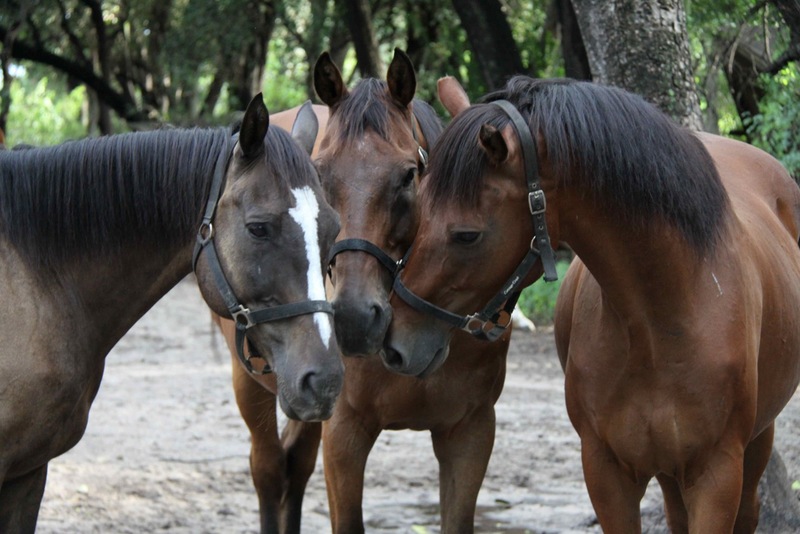 Many of the horses have either been sourced through close friends in Harare, Zimbabwe or are selected from well-known breeders in South Africa. 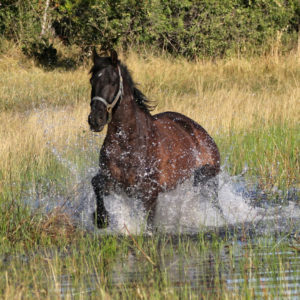 Our team are made up of thoroughbreds and thoroughbred crosses, Arabians and Arabian crosses and Boerperds. 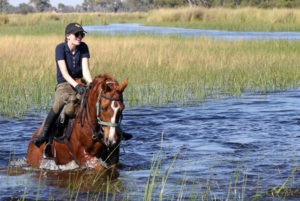 In recent years we have carefully selected mares to join our team and using Lamu, an American Saddlebred, we are breeding more of our own horses now. 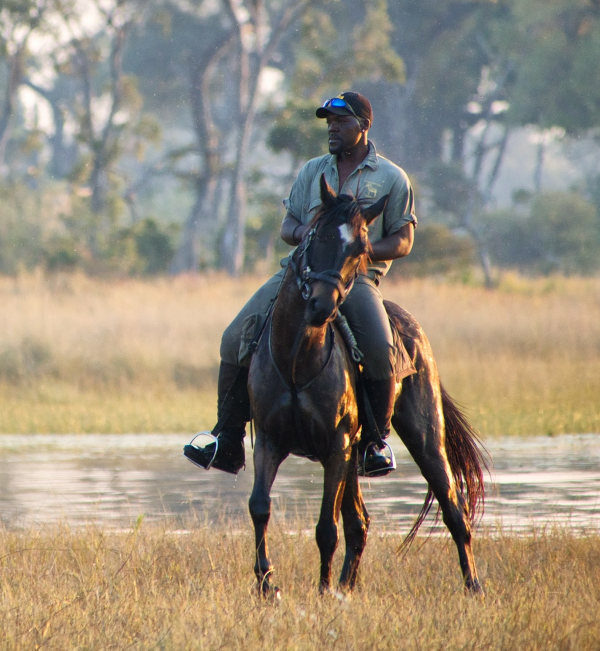 When not on safari the horses freely graze the grassy molapos of the delta through the day. They graze loose and this truly is one of the amazing sights you will see while on safari with us. Tyrion x imported Friesian Stallion May 2015 colt. 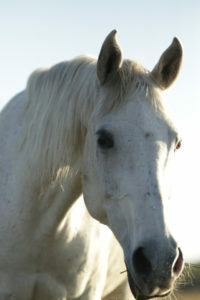 (Chief Justice) 16hh grey mare, Anglo Arab. Although born in Botswana (Bred by Angela Tilney) she arrived from South Africa where she did dressage, show jumping and endurance. She has bred with Lamu and has Africa to show for it. Dark Bay gelding, Boerperd x TB, Letotsi came from the Hancke Boerperd stud SA. 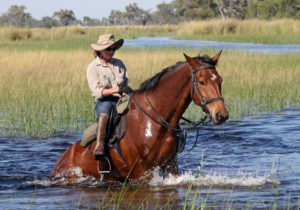 He arrived in February 2009 and has become a great safari horse. (Homebred Lamu x Mosadi Mogolo a locally bred mare) bright chestnut. Topknott is the baby name given to him as he had a tiny tuft of hair for a forelock, but is often called Topknotch these days! 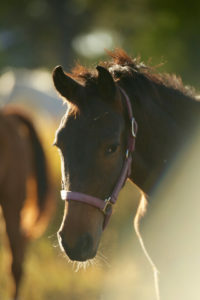 Homebred bay filly born Feb 2011. Dam XaiXai and sire Lamu. Shongololo means millipede – simply because she has very long legs. 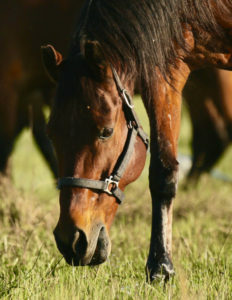 (TB bright bay ex Zimbabwe) Royal Count was stolen from PJ and Barney’s stables at Guma in Feb 2005. 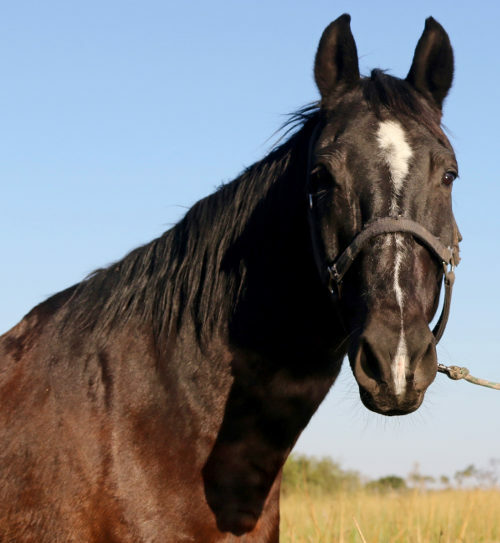 Police recovered him after 10 days – he had been galloped into the ground, his taught skin stretched over his bony frame, his tendons blown, his ears cut, his forehead burnt. The thief was sentenced to 5 years in prison by the Tribal Court. 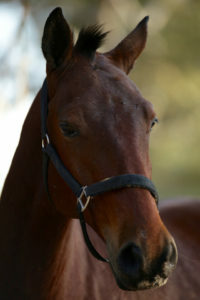 Warmblood gelding from Zimbabwe. 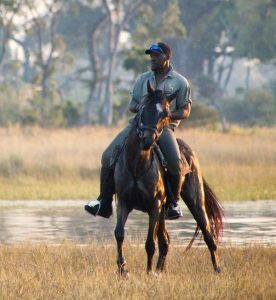 Duba was a rescue horse, his owners probably had their farm reclaimed and were forced to leave Zimbabwe and abandoned their animals. 007 (Colchester’s Allegro) Cape Boerperd, Sire Colchesters Kalamazoo, Dam Colchesters Lady Luck. 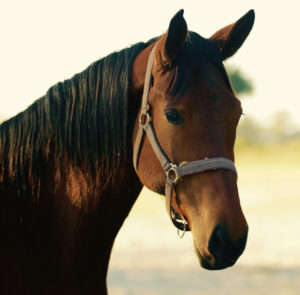 A versatile horse with lots of character. (American Saddler: bright Chestnut) Lamu is an island off the coast of Kenya, which is a World Heritage Site. A small island which has no vehicles, just donkeys and bicycles, the island is pretty much like it was 100s of years ago, with strong Arab & African influences. Lamu is our Stallion and keeps the herd in place. 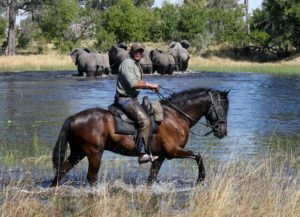 His has an exceptionally good temperament, which he passes onto his offspring and one of the reasons they are such brilliant safari horses. A coloured Draft X. Waterford (named after the stud farm that bred him, AKA Chief, yet we already have a trainer by the name of Chief so things got very confusing!) comes from the Waterford Stud in SA bred by Pete Dommett. His Sire Commanche is a Shire paint and Dam Cuty a Percheron x Clydsdale. He was brought from Pitsana Game Reserve in the Tuli Block Botswna when they closed down their anti-poaching programme. Still under 4 years old when he arrived, he had a lot of experience with big game and the transition to the delta was not difficult. He is full brother to Ditedu, just 1 year younger and luckily did get the painted genes. Arrived at OHS 2011. 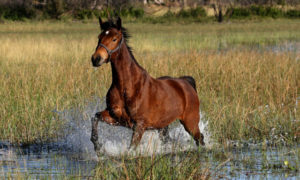 One of six wild horses backed out of the Kalahari Desert. He is extremely well natured and takes every new experience in his stride. He is chestnut with a white blaze, a really honest horse. 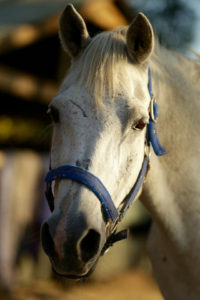 (Kalahari Farm Horse) Arrived in OHS in 2011. One of six wild horses backed out of the Kalahari Desert. Scorpion is good at going sideways – when first being ridden the bushman called him Tchikoto, which means Traditional Beer, due to the fact that he did amazing sideways canters and stop and starts at whim like a drunk man! 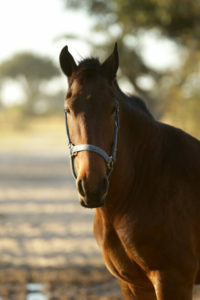 (Kalahari Farm Horse) arrived in OHS at the end of 2011. One of six wild horses backed out of the Kalahari Desert. Mamba is a favourite amongst the staff, although he was so wild when he started his training, his hissing was unmistakably like a Black Mamba’s! Not much can scare this horse. 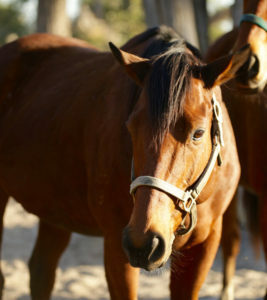 (Kalahari Farm Horse AKA Choppies) Arrived at OHS 2011. One of six wild horses backed out of the Kalahari Desert! Bintang (Safari name) is fondly known as Choppies after one of our local food store chains, due to his love of food, and also his quick pace! A brave lead horse. Bintang is a supermarket in Bali, following through the Choppies theme. Arrived from South Africa April 20th 2005. He is classed as a South African Boerperd and his previous job was working with cattle. We call him Buffalo Bill. Born Oct 2008. Breed Friesian x Boerperd. Arrived at OHS Jan 2015. He and his brother Baratheon came from a once very respected showing stud in Lichtenburg, South Africa. After only a couple of days at OHS he was striding out well on rides but surprisingly bold with game. A horse with much presence. Born Oct 2010. Breed Friesian cross Boerperd. Arrived at OHS Jan 2015. 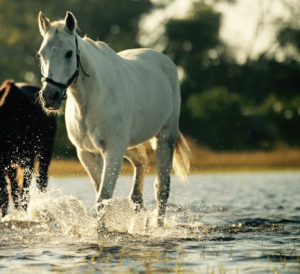 He and his brother Dothraki came from a once very respected showing stud in Lichtenburg, South Africa. Botswana Warmblood, Pangani is a homebred gelding born at Guma Lagoon. 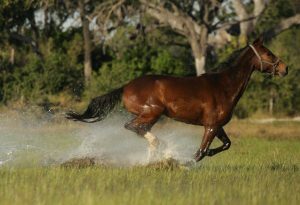 His father is our stallion Lamu and his mother Masadi Moholo (American saddle bred cross Kalahari). He is full brother to Topknott, and half brother to Kuke. Dapple-grey he stands over 16hh. He is a striking looking enjoyable horse. 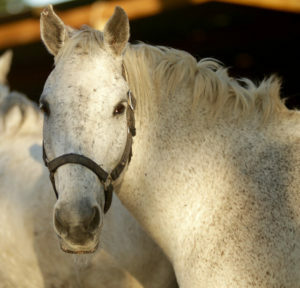 Homebred Grey. American saddler (Lamu) x Anglo Arab (Jaoneng). He is named after a local fish spear that is traditionally used from a dugout canoe. A popular safari horse due to his lovely paces and disposition. 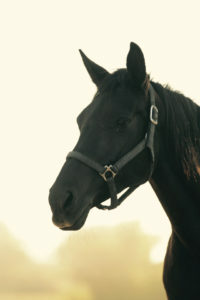 Botswana Warmblood, Mabowa is a Homebred. Full brother to Kujwana, Likipia, Komatsu and Kiwayu, half brother to Topknott, Kuke, Pangani and Osh Gosh, he is named after the mushroom we get in the rainy season, which grows on termite mounds given enough rain & lightening. He is very tall and good natured, taking life in his stride. Homebred from Hannahai by Lamu. Bay filly, her name is a play on Lamu and also after the Lemurs in Madagascar. 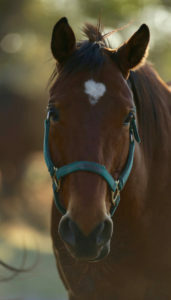 She is a big horse, always keen to adopt and befriend new horses in the yard, she has a kind nature and lovely paces. 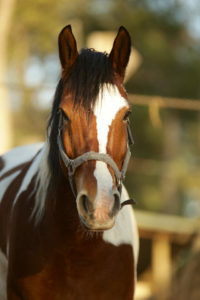 (Lamu x Sahara, bay mare) Born August 2010. Her name translates as a bird, the African Jacana, which is common in the delta and likes to walk on the Lily pads. A dainty mare with a kind eye, she is foster mother to Bongo our little colt who lost his mother to AHS when he was 3 weeks old. Lilly Trotter looks after her brother in the herd. Botswana Warnblood, Likipia is a Homebred. Full brother to Kujwana, Mabowa, Komatsu and Kiwayu and half brother to Topknott, Kuke, Pangani and Osh Gosh, his mother XaiXai by Lamu. Strongly resembles his father with striking hind socks, he is lively and playful. Homebred born on Christmas Day 2009. Bright Bay out of Xai Xai by Lamu. Kiwayu is an island in northern Kenya. He is the spitting image of his big brothers Likipia and Mabowa. Homebred. Full brother to Mabowa, Likipia, Kiwayu and Komatsu. His mother is XaiXai, by Lamu. His name means baby hippo in Setswana and is also the name of our base camp. He is tough, bold and very comfortable to ride. 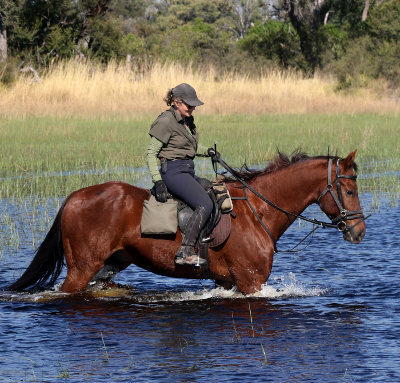 Botswana Warmblood. 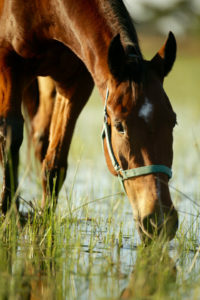 Kuke is a homebred chestnut gelding, standing over 16hh, born at Guma Lagoon. 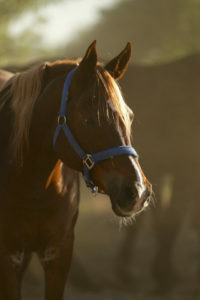 His father is our stallion Lamu and his mother was Selinda, a big TB mare (American saddle bred x TB). He is half brother to Pangani and Topknott. 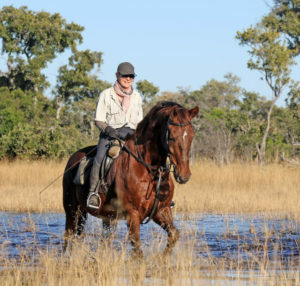 Kuke has grown into a very special safari horse with lovely paces and great attitude. Homebred. Full brother to Kujwana, Mabowa, Likipia and Kiwayu. His mother is XaiXai by Lamu, although we suspect Mr Guma’s stallion may have pipped Lamu to the post! He was born at Guma in the Delta. A robust horse he is named after our TLB digger! 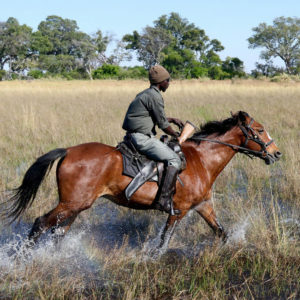 He is a wonderful strong safari horse. 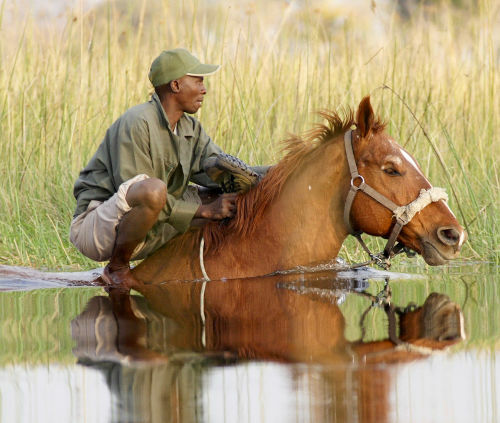 Botswana Warmblood, Africa is a homebred. Born Oct 2011 Dam: Medjumbe Sire: Lamu. 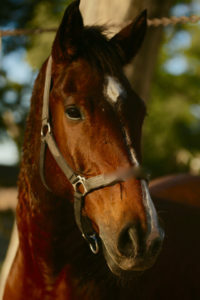 Chestnut gelding with a white African blaze on his face, hence his name. So young yet so big, Africa has overtaken his week older half sister by miles. A young gentleman with bags of potential. (Savannah) From South Africa. A black Anglo Arab x Boerperd. 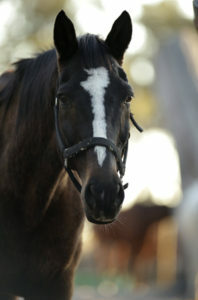 She has produced some beautiful foals with Lamu, and is a lovely riding mare. She has a tooth growing the wrong way on the off side of her jaw – this does no harm but is unusual. 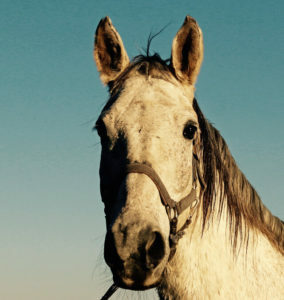 Iron grey gelding Boerperd bought in SA from the Hancke Boerperd stud. He is named after a region of South Africa, which means, ‘where the sun rises’. (Adjaal) Thoroughbred originally from one of Mohammed bin Rashid Al Maktoum’s (Sheikh Mohammed owner of Darley Racing) studs in Australia. Brought over to South Africa in March 2011 to race there where he eventually finished his racing career in Harare, Zimbabwe. 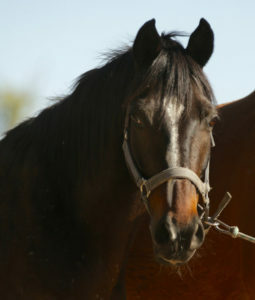 A substantial TB with the brand on his shoulder 166 and then 9, indicating the number of foals his stallion produced and the year he was born. 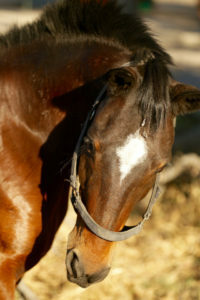 (Sir Hedges) TB dark bay 15.3hh ex Harare, Zimbabwe from the Tilden line whose name means Wild Honey. He was intermediate eventing before joining the OHS team. (SID) Arrived OHS Feb 2015. Born Nov 2010. Breed: Thoroughbred. He came off the track from Zimbabwe and is a lovely big horse with big strides. 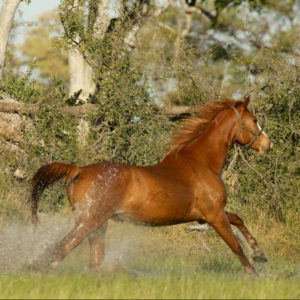 (Jozaak Delfino) Chestnut Egyptian Arab, Sire Magical Caf, Dam Jozaak Asturi, from Parys in South Africa. Rasini is a forward going strong Arabian with easy paces and great stamina. (Arab: Dappled Grey from South Africa) Zulu is a tribe from South Africa. 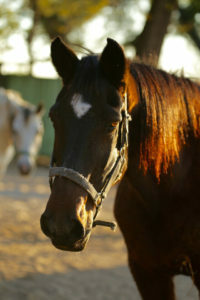 He was bred as a show stallion but had an accident in the lunging ring, which left him with scar tissue on hock. No longer suitable for the show ring he was gelded and bought to the delta. Egyptian Arab, Chestnut ex RSA, Armika Farid. Sire: Armika Sting’s Millennium, Dam: Armika Ahirra. We called him after Omar Sharif as he is so good looking! 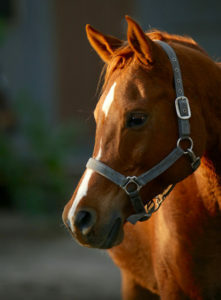 Bright chestnut Arab, he arrived from the Armika stud SA. 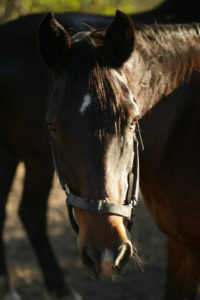 He was South African National Champion gelding in 2006 and 2007. In 2008 he was Res. National Champion. He is bred in the purple by Xtream Psyche TF out of Armika Cindy. A beautifully put together horse with exceptional movement, we fondly call him Mr. Posh. 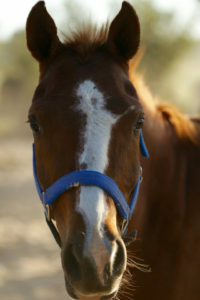 Egyptian Arab, Chestnut with white spanner mark on his face. His father Xtream Psyche always breeds this mark somewhere on his off spring. Ex RSA. Sire: Xtream Psyche, Dam: Chazen Kailyn. His name is inspired by Lawrence of Arabia and his amazing journey across the desert to Akaba.